Ultimate Flurry. Cookie Lovers Hi-Protein Shake. Anyways back to the lecture at hand. This Ultimate Flurry Shake has 40 grams of protein, 220 calories and 5 grams of fat. Low in carbs and low in sugar but most def not low in taste. This shake is ridiculous. It tastes unlike any other protein shake I ever had. 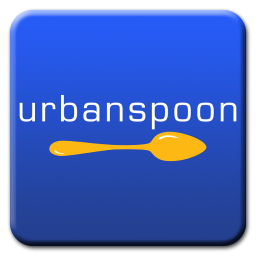 Turns out this is a pretty new product and the public is loving it. 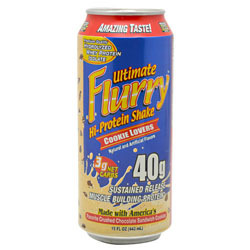 ANSI who created the ‘Ultimate Flurry’ line of protein products, is the first company to combine the goodness of whey and casein with the goodness of junk foods like Oreos and M&Ms. There are some powder mixes and the ‘Ultimate Flurry’ candy protein bar. I cannot even image how good that thing tastes, when I find one, I will report back. If you have had one please comment and let me know where you found it and how much you loved it. http://www.nutrientscience.com/UltimateFlurryShakes.html This Is What I’m Talking About. The world of protein supplements just keeps getting bigger by the day, they keep coming up with tastier ways to get more protein into your diet. One of the newest supplements in MHP Power Pack Pudding. 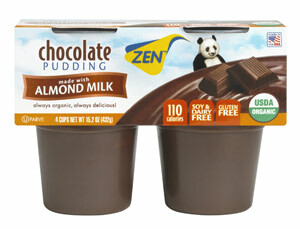 This all natural, sugar-free, low carb pudding is also lactose free and packs 30 grams of milk and soy protein. High in potassium and calcium, this pudding easily cuts your craving for sweets and fills you up. Plus it comes in a super convenient container that re-seals so if you can’t finish it you can close it and save it for later. I finally got to Vitamin Shoppe to buy this stuff. It is defiantly pricey when you buy it in single containers, $4 here in NYC/NJ area but most protein shakes ring up that price so it’s right on track for what it offers. I think it works out to be less if you buy a case of it which I will be doing next week because I loved this stuff so much. Don’t get me wrong, I can tell this is a protein based supplement, I supplement so much you are not getting that around me BUT what I will say is the taste is not bad and the overall taste is pretty rad. I mean the texture, color and chocolate flavor are dead on without any chemicals or artificial ingredients. It fills you up but it tastes so good it is easy to eat the whole thing, this is the perfect dessert for those of us who are just too weak or too hungry to say no. Plus the portion size is pretty big, at almost 90z you will be full after this even though it is only 190 calories. As of now they only offer chocolate but word on the streets is that vanilla flavor is coming soon. I really cannot say enough good things about this product, I am so happy that they are making such big strides in the supplement business because I have no willpower and need as many good tasting, healthy snack options as they give me 😉 Look for it at GNC and/or Vitamin Shoppe, there are many places you can buy it on-line too. 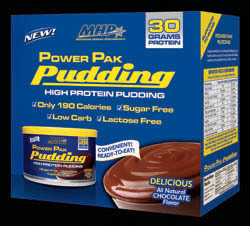 https://secure.maxperformance.com/mhp/myweb.php?hls=1456 All About Power Pack Pudding.